This large oil on canvas was painted by Caroline Hutchinson circa 1955. I believe this is Whitley Bay in Newcastle with deck chairs and children playing with the sea as a backdrop. Painted in an Impressionist palette. Unsigned. Framed in a new hand made gallery frame. 28 inches by 24 inches. 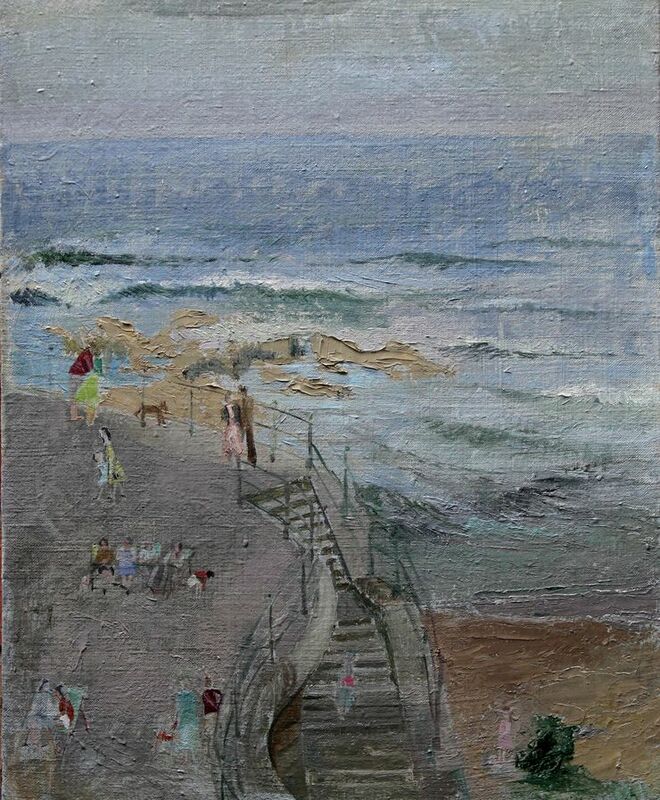 Caroline Hutchinson painted and exhibited circa 1950's in oils and watercolour and was from the North East.